Your Alkalizing Foods Guide Explained, for Weightloss, a Balance pH, and Reclaim your Health. When it comes to choosing a balanced diet,there are a wide variety of choices. 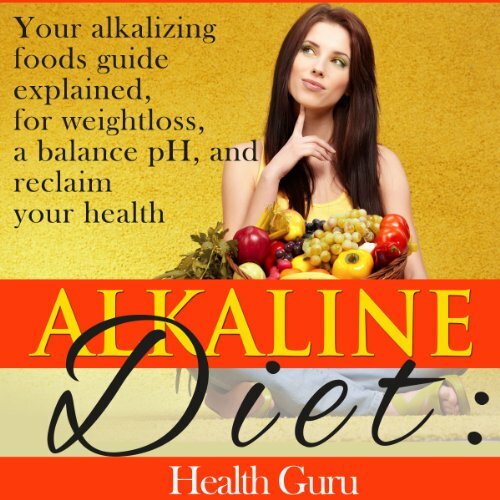 In the last few years, researchers around the world have reported the importance of keeping the acid-alkaline balance in your body to maintain good health. While thousands of people are trying to balance their body's pH level, until now, they have had to rely on guides containing only a small number of foods. This audiobook begins by explaining the acid alkiline - the essentials of the body is influenced by foods. I hope this book will quickly become the resource you turn to at home, in restaurants, and whenever you want to select a food that can help you reach your health and dietary goals. p>A wholesome diet not only helps to maintain health, but can also play a vital role in recovery from disease. On the other hand, it is safe to say that unhealthy dietary patterns are a major contributing factor in most disease conditions.